I can't begin to tell you the number of blog posts I read about "the grind". That notion that if we're sleeping for more than 3 hours per night, taking care of ourselves, and spending time with family and friends, then we're somehow not working hard enough. While I'm sure many of you also enjoy the feeling of crossing something off your to-do list, taking time to recharge and take care of yourself is critical to being successful. Studies have shown that without taking breaks, you're prone to making more mistakes at work, have less focus, and reduce efficiency. 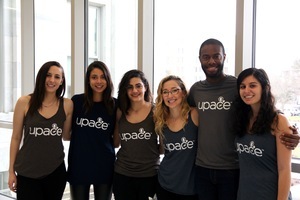 Rachel Koretsky, CEO and Founder of upace, is a big supporter of taking time for yourself when it's possible and is teaching college students how to develop healthy ways of recharging to help them become more successful in the long run. Her favorite way to beat "the grind" and get back some level of sanity? Fitness. "It is so easy to get caught up with work, stress, friends, and social media that it becomes easy to forget about your own wellbeing. Finding some 'me' time, even if it is just 15 minutes a day, is crucial to finding balance in our hectic, busy lifestyles. This time could be for meditation or exercise to help you de-stress, rejuvenate and prepare for rest of the day. I spend my 'me' time in the gym, some days it is yoga and others I run, I listen to my body and do what feels right for me on that day," Koretsky shares. Her love for fitness wasn't always easy to achieve. 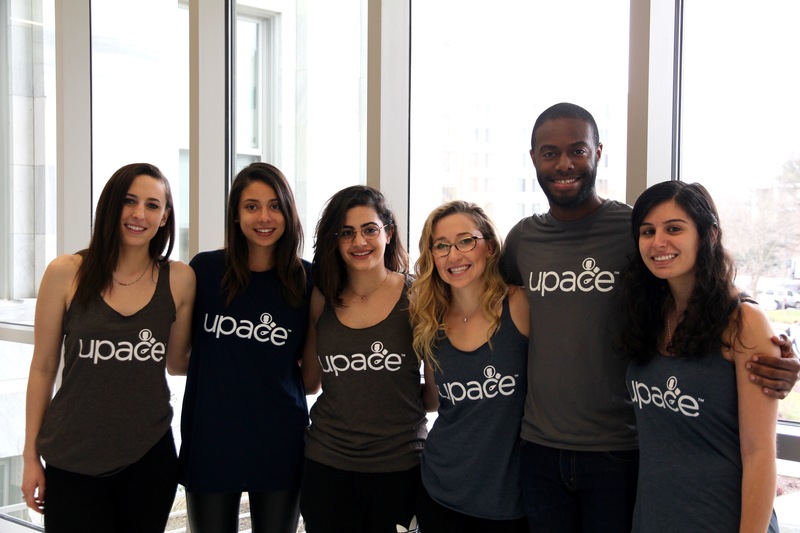 "When I was a student at American University, I grew frustrated with the wait times for machines at the fitness center, with white board sign ups and overcrowded group fitness classes. One evening, I particular, I went to the gym 40 minutes in advance for a Zumba class and while waiting I kept thinking, 'Why isn't my university just allowing for advanced class reservations?' Ultimately, these inconveniences interrupted my routine; I stopped going to the gym. It struck me that fitness shouldn't have to be so inconvenient." Even if you're not in college, it's never too late to develop ways to de-stress in a healthy way. Koretsky shares why it's important. "Research states that if you workout 3 times a week (at least 30 minutes each, less than 2 hours/week) you will see benefits such as increase in GPA and retention rates." "It is important to find types of fitness that help you rejuvenate mentally so that when you are having a bad day, feeling depressed or anxious you know what you can do to help yourself. When you feel you need the mental energy boost this is when you should make a reservation for personal training, fitness class, or cardio equipment to motivate yourself to complete the workout." "Fitness should become a part of your weekly commitments. For example, on a Sunday afternoon make three fitness class reservations for the week. Having a set schedule will allow you to focus on your work and feel accomplishment when fulfilling your weekly commitments." "We all experience stress differently and that is why everyone needs to find their activity to 'de-stress'. It may be practicing yoga, playing basketball or boxing but the first step is most important to recognize your stress and knowing what activity is right for you." "I firmly believe that fitness should be about your needs and only yours. It is easy to get caught up in fitness trends and before and after Instagram pictures but remember fitness is about finding your own pace. My hope is that everyone is able to listen to their mind & body and find the different types of workouts to help you tackle each day with confidence."